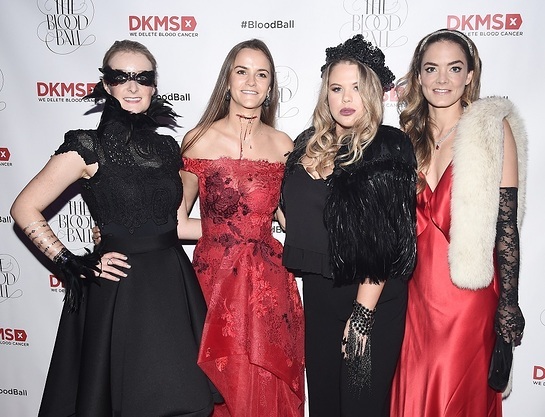 DKMS Global Ambassador & Co-Founder, Katharina Harf and longtime supporter Charlotte Santo Domingo co-hosted DKMS’ highly anticipated Halloween benefit, The Blood Ball, last week at Diamond Horseshoe in Times Square. Amidst the 500 guests enjoying the party, Event Chair Santo Domingo expressed how much their support makes a difference. “By being here tonight, we are joining the fight to delete blood cancer once and for all. DKMS has made incredible strides over the years, registering nearly 7 million donors worldwide! But our work is not done. If you have not already registered, please get swabbed. It is a simple, easy process that can result in saving a life,” she said. DKMS is an international nonprofit organization dedicated to eradicating blood cancers like leukemia and other blood-related illnesses, inspiring both men and women around the world to register as bone marrow and blood stem cell donors. Guests enjoyed endless visual artistry throughout the night, including aerial acts and talent by Shien Artists, including tap dancers from the ghosts of Fred Astaire and Ginger Rogers and much more. Music was provided by DJ Mick. Every sweet tooth in the room was fulfilled through a dessert installation with confectionary delights from Baked by Melissa, Dana’s Bakery, Duane Park Patisserie, NY Cake Pops & others. Drinks were flowing from AB InBev, Wölffer Estate Vineyard, El Buho Mezcal, Atlantico Rum and Espolon Tequila. Gift bags were provided by Ricky’s NYC which included a specially designed Gabriel & Co. pendant. International singer/songwriter, Grace, adorned the stage with a special performance. 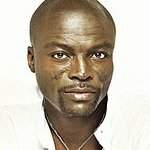 Guests included Carrie Preston, Taryn Manning, Selenis Leyva, Consuelo Costin, Heather Hahn, Katia Kokoreva, Iskra Lawrence, Rain Dove, Ryan Serhant & Emilia Bechrakis, Tabitha Simmons, Cameron Winklevoss & Tyler Winklevoss. Many guests have close ties to the cause, including Selenis Leyva who’s brother Arnol Leyva was diagnosed with non-Hodgkin Lymphoma from a young age.